Anybody can sell motorcycle alarms, and many businesses do. However how many are specialists? How many trust their products enough to actually fit them? How many have a professional fitter ( not a sales rep ) only a phone call away, with FREE tech support? If the person on the phone has not worked on motorcycles how can they really give accurate info about your bike? Because of this our motorcycle alarms are bought by everyone, from private individuals and small local businesses through to HONDA DEALERSHIPS overseas! 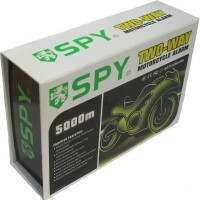 Our motorbike alarms are rock solid and come complete with very clear instructions written by us and designed to match your exact make and model of bike, including showing your bikes wire colours at the connection points. This concept was developed by Nigel Cook when this business was launched, after hearing horror stories from fellow bikers who had damaged their wheels by installing other alarm types using the “standard” diagrams supplied. 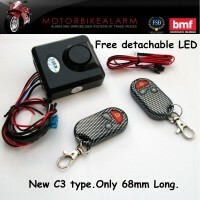 www.motorbikealarm.co.uk is probably the UK’s largest supplier of motorcycle alarms. The site is run by N Cook Security Ltd ( company number 05879181, VAT GB 900 0987 48 ), and was established in 2005 as our online presence. We are professional motorcycle alarm fitters (and more importantly motorcycle enthusiasts) and as a result we know motorbikes, motorbike alarms and electrics inside out. In 2009 we further developed our motorcycle alarm range by introducing new alarms systems, known as Cyclone V2 motorcycle alarms. 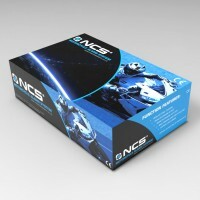 We took the motorcycle / alarm compatability and ease of fitting to a new level. The new Cyclone V2 alarms ( and also on the new versions of the advanced alarms ) were designed from scratch by looking at the alarm fitting from the installers point of view. This inspired us to produce these new motorcycle alarms in different sensing and immobilisation configurations, allowing for a highly compatible system with a very simple fitting system. These alarms are so easy to fit that in most cases you have full alarm and immobilisation features without even cutting a single wire in half, making these systems virtually plug and play! This is not the case with any other motorcycle alarm systems on the market in the world today! Not only this, but unlike most other motorcycle alarm wiring, we do not connect purely to the motorcycle ignition system as that is the first place any able thief will go to disarm the alarm system. We have written our own diagrams, in most cases including the wire colours on your motorbike, to avoid this problem! We have details for virtually all motorcycles and mopeds using a 12V system, including Japanese motorcycles, Chinese motorcycles, Italian motorcycles, Peugeot, Triumph, KTM, Cagiva, Husqvarna motorbikes, BMW, the list goes on…. We also supply special, one off, motorcycle alarm fitting diagrams to those custom motorbikes at no extra charge – we need a copy of your wire motorcycle schematic wire diagram. Our motorbike alarms are suitable for all motorcycles / motorbikes, scooters quads, trikes and mopeds that use a 12V electrical system. If you would like us to fit an alarm, then we currently have experienced motorcycle alarm fitters covering most of England and also a few in Ireland – see the map on our Fitting Service page for fitter locations. Just call us on our low rate number or email for more info. There are two main reasons. Firstly we are an internet business with low overheads, selling 1000′s of alarms. Secondly we have studied several motorcycle alarm companies and managed to identify, in some cases, where the alarms are manufactured. It seems that the production cost of any motorcycle alarm is around about the same when you compare like for like alarm styles/features. The difference between production cost and sell price, in some cases, is around 10 to 12 times! We are also aware 1 well known “premium alarm brand” having a fixed price policy to over inflate the retail cost, in order to “keep the brand premium”. Nice! It has been our philosophy here at www.motorbikealarm.co.uk to sell our motorcycle alarms at a fair price ( we sell at the trade price to the public! ). In our view the apparent mark up of some companies can not be justified. The whole reason we set up was in response to the motorcycle alarm sellers operating at the profit levels we have just mentioned.